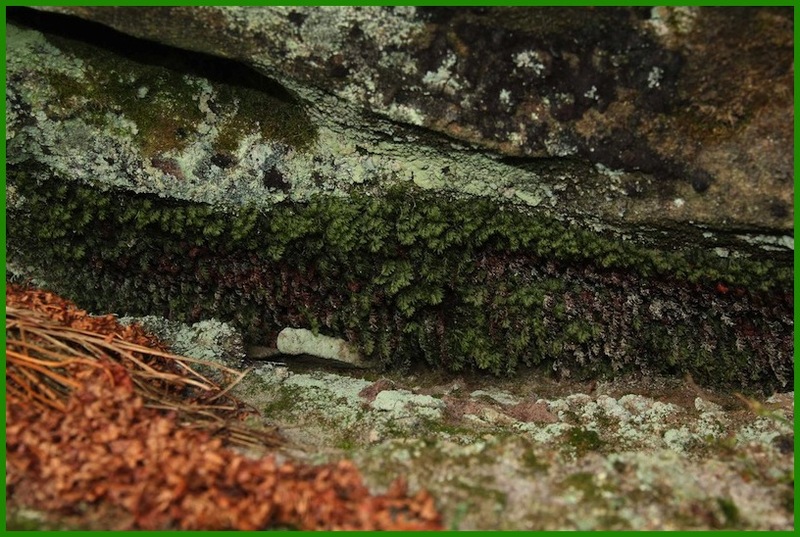 Filmy-ferns have been known on the higher gritstone ‘tors’ above Bewcastle in northeast Cumbria, close to the Northumberland border, since the Wilson’s Filmy-fern Hymenophyllum wilsonii was unearthed by Derek Ratcliffe on Tod Crag in 1957. 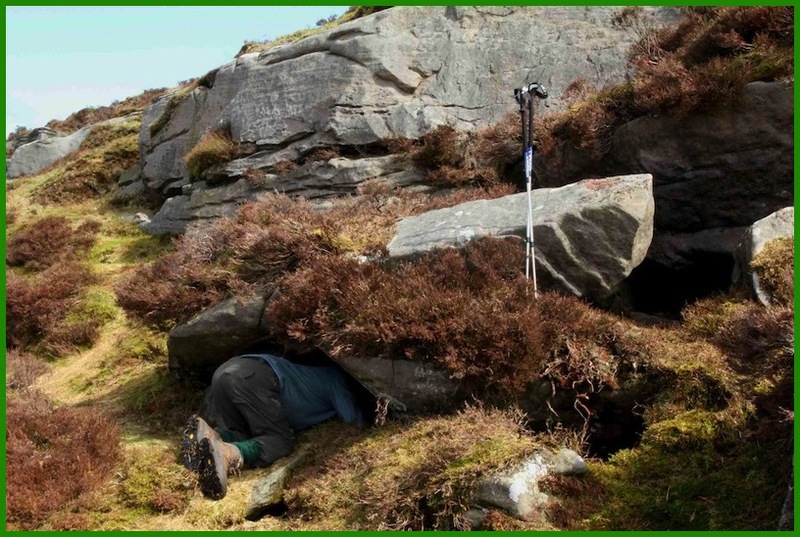 Surveys of the gritstone outcrops in the area of Christianbury Crags in 2009 and 2010 revealed more than twenty colonies of filmy-ferns over several miles, the majority being the Tunbridge Filmy-fern with fewer of Wilson’s Filmy-fern. This work also revealed two colonies of a puzzling plant with some intermediate characters. 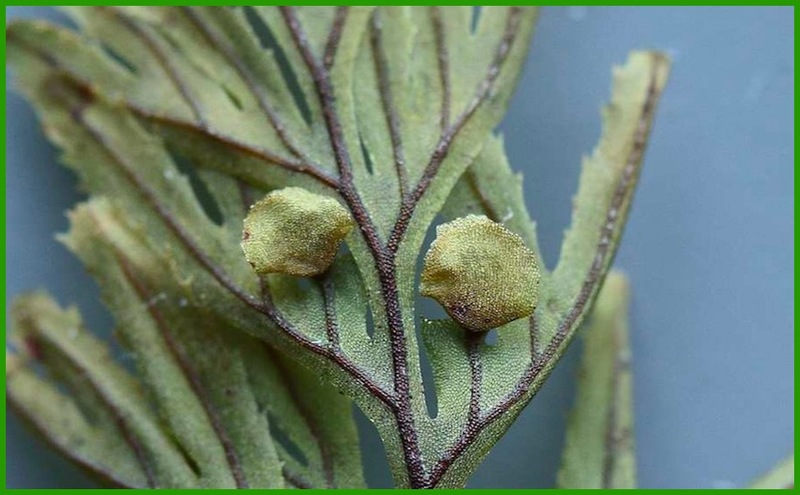 Initially thought to be a form of Tunbridge Filmy-fern, closer examination revealed spore abortion, suggesting a hybrid origin. Dr Fred Rumsey has confirmed the plants in both colonies as the hybrid between Tunbridge and Wilson’s Filmy-ferns, supported by DNA work at the British Museum. The hybrid has been formally named in New Journal of Botany, Volume 1, Number 2 (2011), pp. 93-97: A New Hymenophyllum hybrid from the British Isles: Hymenophyllum × scopulorum F.J. Rumsey & F.J. Roberts (Hymenophyllum tunbrigense (L.) Sm. 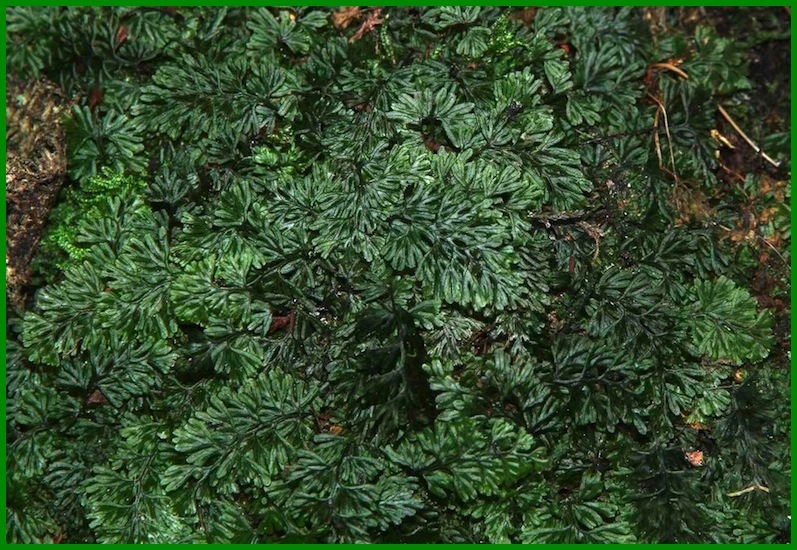 × H. wilsonii Hook., Hymenophyllacea), Fred J. Rumsey & F. Jeremy Roberts. The outcrops supporting the two colonies of the hybrid are separated by a mile of open heather moorland. It is an intriguing puzzle as to how these two colonies of a sterile fern with slow lateral growth and no other methods of propagation became established. Do they derive from two separate hybridisation events of what appears to be a very rare occurrence? Did the plant arise once, and somehow spread so that it now occurs in two well-separated sites? Can the plant produce some fertile spores? - or has it done so in the past? None of these possibilities seems anything other than remote... but some sequence of events has brought about the existing situation! See the paper above for discussion. 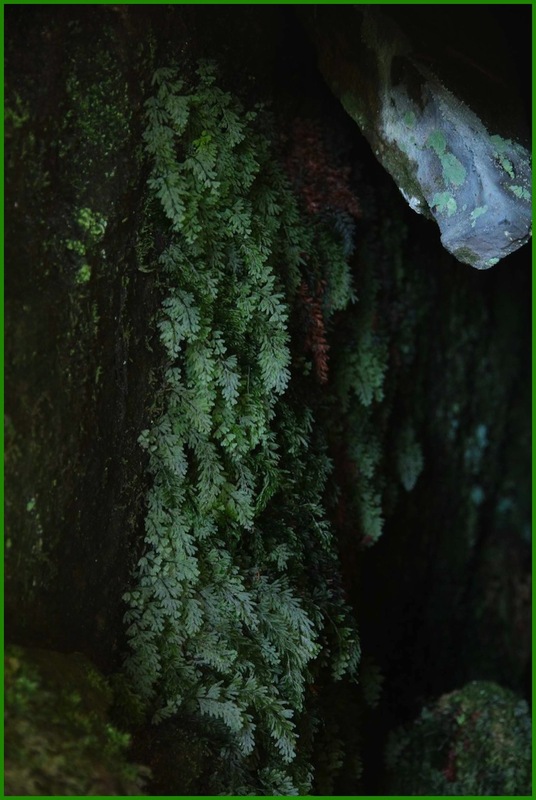 The gametophyte of Killarney Fern Trichomanes speciosum was also found in one of the Tunbridge Filmy-fern sites in October 2011 by Bruce Brown and Alison Evans.